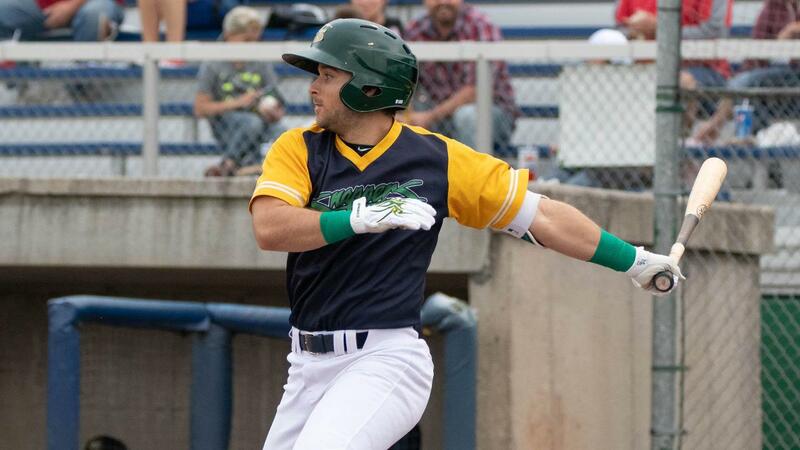 The Beloit Snappers dropped their first playoff game since 2013 10-1 to the Cedar Rapids Kernels Thursday night at Pohlman Field in front of 408 fans. The game was broken open in the top of the eighth. Kernels outfielder Trey Cabbage pinch-hit for Victor Tademo with the bases loaded and uncorked his second grand slam of the year of Joseph Camacho to right to make it 8-1. Cedar Rapids designated hitter Ryan Jeffers had one of his best games of the season, going 3-for-4 with three runs scored, a walk and three RBI. He had a solo homer in the second inning to make it 1-0 and a two-run homer in the ninth to make it 10-1. Gabriel Maciel also had a solo homer in the second to make it 2-0 for the Kernels. He finished 1-for-4 with two runs scored, two RBI and a walk. His second RBI came in the third, when he walked with the bases loaded to make it 4-1 Kernels. They held that lead until the eighth inning. The third run for Cedar Rapids came in the third, when Twins top prospect Trevor Larnach singled home Michael Helman to make it 3-1. It was a game of missed opportunities for Beloit, who were 0-for-8 with runners in scoring position and left eight runners on base. A big problem Thursday night for the Snappers was strikeouts, as Snappers batters struck out 15 times. One of the biggest opportunities for the Snappers came in the bottom of the second, trailing 2-0. After Ryan Gridley walked and Jack Meggs doubled, the following three batters struck out to end the frame. Luckily, the Snappers got a run off a wild pitch from Kernels starter Jhoan Duran to make it 2-1. Then with the bases loaded in the sixth and one out, Mickey McDonald and Jordan Devencenzi struck out to Duran to end the opportunity. The Snappers now trail 1-0 in the series and must win the final two games. Game one of the series was originally scheduled for Wednesday at 7:00 p.m., but was rained out and moved to 6:00 on Thursday night. Game two and three will now be played at Cedar Rapids in a double-header on Friday, with the first game starting at 6:00 p.m. Taking the mound to start for the Snappers will be left-hander Ivan Andueza (4-10, 5.35). Opposing him for the Kernels will be right-hander Randy Dobnak (10-5, 3.14).